Restoring Peace, Respect, Hope, and Dignity. 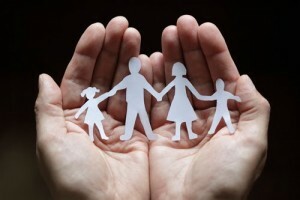 The decision to come to family therapy is often a difficult step to take. Life, by nature, is not easy to navigate. We all get stuck now and again. The problem is, you can’t read the label when you are stuck inside the jar. • Adjustment to life transitions such as divorce, blended/step-families, acute or chronic illness of a family member (mental or physical); unemployment, etc. Family Therapists utilize a systemic approach to problem-solving, whether there is an individual, or a family of five, in the counseling office. A family’s’ strengths are maximized to better manage their presenting problems. The stigma or focus of the “problem” is taken away from any one individual, but accepted by family system as a whole – we all have a role in why we are here. As dropping a small pebble into a body of water creates a ripple effect that cannot be stopped, so too does a positive change in any individual in the family affect the family system as a whole. Family therapists are available to help you and your family get “unstuck,” and continue navigating through life, ideally with some new skills you can use along the way. Call us today to find out how we can be of assistance.